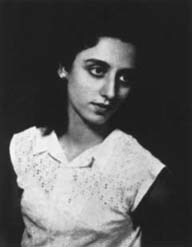 Nouhad Wadie’ Haddad (Arabic: نهاد وديع حداد‎‎‎) (born November 20, 1935), known as Fairuz (Arabic: فيروز‎‎‎), also spelled Fairouz, Feyrouz or Fayrouz, is a Lebanese singer who is one of the most widely admired and deeply respected living singers in the Arab world. Her songs are constantly heard throughout the region. She was first noticed at the International Festival of Baalbeck, where she performed many of her songs. She became famous after appearing on the “Lebanese Nights” part of the festival for many successive years. Fairuz is commonly known as “Ambassador to the Stars”, “Neighbor to the Moon” (for her song about the moon of Machgara), and the “Jewel of Lebanon”. Fairouz was born to a Lebanese Christian Syriac Orthodox family. She is of the Eastern Orthodox Christian faith, having converted when she married Assi Rahbani, one of the two Rahbani brothers who helped shape her singing career. She is also the mother of the Lebanese composer, pianist and playwright Ziad Rahbani, the late director Layal Rahbani, Lebanese director Rima Rahbani, and Haley Rahbani. Fairuz (Nouhad Haddad) with her mother Liza al-Boustani, crossing Martyrs’ Square, Beirut in Beirut, 1945. Nouhad Haddad was born on 20 November 1934 in Lebanon into a Maronite family.The family later moved into a home in a cobblestone alley called Zuqaq el Blatt in Beirut. Living in a single room of a typical Lebanese stone house facing Beirut’s Eastern Orthodox Patriarchate school, they shared a kitchen with the neighbours. Her father Wadīʿ was a Lebanese of the Syriac Orthodox faith, and worked as a typesetter in a print shop. Lisa El boustani, her mother, also Lebanese, but Maronite Christian, stayed home and took care of her four children, Nouhad, Youssef, Houda and Amal. Mohammed Fleyfel took a close interest in Nouhad’s talent. Among other things, he taught her to recite verses from the Koran (in the recitative style known as Tajweed). On one occasion, Nouhad was heard singing by Halim el Roumi, head of the Lebanese radio station and a prominent musician in his own right (also the father of the famous Lebanese singer Majida Roumi). Roumi was impressed by her voice and noticed that it had a rare flexibility that allowed her to sing both Arabic and Western modes admirably. At Nouhad’s request, El Roumi appointed her as a chorus singer at the radio station in Beirut and went on to compose several songs for her. He chose for her the stage name Fairuz, which is the Arabic word for turquoise. The Church in, Achrafieh, Beirut where Fairouz got married. In the 1990s, Fairuz produced six albums (two Philemon Wehbe tributes with unreleased tracks included, a Zaki Nassif album, three Ziad Rahbani albums, and a tribute album to Assi Rahbani orchestrated by Ziad) and held a number of large-scale concerts, most notably the historic concert held at Beirut’s Martyr’s Square in September 1994 to launch the rebirth of the downtown district that was ravaged by the civil war. She appeared at the Baalbeck International Festival in 1998 after 25 years of self-imposed absence where she performed the highlights of three very successful plays that were presented in the 1960s and 1970s. She also performed a concert in Las Vegas at the MGM Grand Arena in 1999 which was attended by over 16,000 spectators, mostly Arabs. Ever since, Fairuz has held sold out concerts at the Beiteddine International Festival (Lebanon) from 2000 to 2003, Kuwait (2001), Paris (2002), the United States (2003), Amman (2004), Montreal (2005), Dubai, Abu Dhabi, Baalbeck, BIEL (2006), Athens, Amman (2007) Damascus, and Bahrain (2008). Fairuz now works exclusively with her composer son Ziad. Her first album in the new millennium “Wala Keef”, was released in 2002. On January 28, 2008, Fairuz performed at the Damascus Opera House in an emotional return to the Syrian capital, where she played the lead role in the musical Sah el-Nom (“Good Morning”), after more than two decades of absence from the country, in one of a series of events highlighting UNESCO’s designation of Damascus as the Capital of Arab Culture that year. Commenting on the event, the BBC wrote: “Every day the sun rises over Syria you hear one voice across the country – Fairuz, the legendary Lebanese singer and greatest living Arab diva”. Syrian historian, Sami Moubayed, said that the Syrians were thrilled about the performance and that Fairuz reminded them of the “good old days”. People from all ages attended the concert and the auditorium was packed with listeners. Fairuz said that she had never seen such an audience in her life. However, her decision to perform there drew criticism from Lebanese politicians who considered Syria to be a hostile nation. Fairuz’s new album entitled Eh… Fi Amal was released on 7 October 2010, produced by Fairuz productions and written entirely by Ziad Rahbani. Two concerts took place at BIEL Center in Beirut, Lebanon on 7 and 8 October. Later a concert in Bahrain was cancelled in March 2011. She performed in the Netherlands for the first time in Amsterdam on 26 June 2011. Fairuz’s last appearance on stage was in Platea – Jounieh – Harer Sakher in December 2011, where she had 6 concerts extending from 9 to 23 of December 2011. The 2008 concert in Damascus angered some of her fans and several Lebanese politicians who described Syria as “enemy territory in the grip of a brutal secret police force”. Walid Jumblatt, leader of the Druze Progressive Socialist Party, accused Fairuz of “playing into the hands of Syrian intelligence services”, while fellow party member Akram Chehayeb said that “those who love Lebanon do not sing for its jailers,” in reference to the three decades long Syrian occupation of Lebanon. Even some Syrian opposition activists called on her to boycott the event. This came amid a political crisis in Lebanon between pro- and anti-Syria factions, as well as a renewed Syrian government crackdown on dissent that same day during which several people were arrested, including opposition figure Riad Seif and twelve other activists of the anti-government Damascus Declaration. A poll conducted a week before the concert by NOW Lebanon, a Lebanese web portal sympathetic to the anti-Syria March 14 Alliance, showed that 67% of the respondents were opposed to Fairuz’s appearance in Damascus, with one of the website’s editorials saying that “this was not the moment for a musical love-in”. Fairuz refrained from commenting on the controversy. However, in a letter to the event’s organizers, she said that the concert should be viewed from a cultural perspective, and wrote: “Damascus is not a cultural capital for this year only, but will remain a role model of art, culture and authenticity for the coming generations”. She also told the head of the organizers that she felt it was a return to her second home. Syrian commentator Ayman Abdelnour said that Fairuz was performing to the Syrian people, not their rulers. Her brother-in-law and former partner Mansour Rahbani also defended her decision to perform there, saying it was “a message of love and peace from Lebanon to Syria”. Since many of the Rahbanis’ works were co-written by Asi’s brother Mansour, in June 2010, a year after Mansour’s death in January 2009, a Lebanese court banned Fairuz from singing material that involved his contributions. The issue began when Mansour’s children filed a lawsuit against Fairuz when she was set to perform the song “Ya’ish Ya’ish” at the Casino du Liban. As a result, Fairuz could not perform such works without Mansour’s children’s permission. The court’s decision led to protests around the world in response to what her fans perceived as an act of “silencing”. Hundreds gathered in front of the National Museum of Beirut, led by a number of Arab artists, including Egyptian actress Ilham Chahine who flew to Lebanon in order to join the sit-in. “She is a great artistic personality who has entertained millions for decades. We cannot keep silent over this humiliating attitude to her, and to art and artistes in general. Fairouz to me is above all laws. She is like the mother whom, even when she errs, we are eager to forgive,” Chahine added. Ian Black wrote on The Guardian: “Outrage over her silencing has been a reminder of the extraordinary loyalty she still inspires across the region”. Other reactions included a protest concert in Egypt, and a “Shame!” headline displayed by Emirati newspaper Al-Ittihad. Fairuz’s son, Ziad Rahbani, sparked controversy in December 2013 during an interview with the Al-Ahed website when asked whether his mother shared his supportive stance on the political vision of Hassan Nasrallah, the leader of Hezbollah, a dominant but highly controversial political and military force in Lebanon. Ziad replied: “Fairuz is very fond of Sayyed Hassan [Nasrallah], although she will be displeased with me, as she was after my last television interview, when I revealed some personal information and she quickly interrupted me”. There were strong reactions to this statement, which went viral on social media, and the country’s different media outlets did not deviate from their political stances when reacting to Ziad’s words. Politicians and celebrities stepped in as well, some of whom objected to affiliating Fairuz to one side of Lebanon’s political divide over another, including Druze leader Walid Jumblatt who said: “Fairuz is too great to be criticized, and at the same time too great to be classified as belonging to this or that political camp”. “Let us keep her in her supreme position, and not push her to something she has nothing to do with,” Jumblatt added. Ziad, who claims to speak on his mother’s behalf “because she prefers to remain silent”, responded to his critics by saying: “Apparently it isn’t allowed in the age of strife for the princess of classy Arab art to voice love for the master of resistance”. Nasrallah, commenting on the issue during a speech, stated: “An educated highly respected thinker and artist, who maybe espoused different ideologies, might disagree with you on political matters, but personally have [a] fondness for you, because of your character, conduct, sacrifices and so on. If such a person were to say that he or she liked someone, then all hell would break loose”. However, in December 2013, and after all the controversy, Rima Rahbani, who is a close aide to Fairouz, and her daughter, who lives with her, wrote on her Facebook page that no one can speak for their mother, and she criticised her brother, Ziad Rahbani, for pulling Fairouz into “the narrow alleys of Lebanese politics”. For one year, the statements of Ziad Rahbani, after it was publicized, has caused Fairuz to refuse to communicate with her son despite his continuous demands to do so. Fairuz has performed in many countries around the globe including Syria, Jordan, Iraq, Kuwait, United Arab Emirates, Qatar, Bahrain, Egypt, Tunisia, Algeria, Morocco, France, United Kingdom, Switzerland, Netherlands, Greece, Canada, United States, Mexico, Brazil, Argentina, Australia, Belgium, Italy, and her home country Lebanon. Fairuz has performed in many venues such as the Royal Albert Hall in London in 1962, the New York Carnegie Hall in 1971, the London Palladium in 1978, L’Olympia de Paris in 1979, London’s Royal Festival Hall in 1986, the Shrine Auditorium in Los Angeles (1971, 1981, and 2003), the John F. Kennedy Center for the Performing Arts in Washington D.C. (1981 and 1987) among many others (for the complete concert chronology, see Fairuz concerts). Fairuz, Assi, and Mansour have become the most famous and dominant music production phenomenon in the Arab world, and their music has spread beyond the Arab world to Europe, the Americas, and Australia. Of Fairuz’s numerous concerts, few have been released as official recordings. They are the Damascus 1960, Olympia 1979 concert (audio and video released in the 1980s), USA tour 1981, Jarash 1983, Royal Festival Hall London 1986, USA tour 1987, Baalbek 1998 (Video), Las Vegas 1999 concert (on DVD with make over and rehearsals), Beiteddine 2000 and Dubai 2001 (on DVD, it includes parts from concerts in 1997 and 2002 as well as rehearsals from 2001 and 2002 concerts, released May 2008). Filmed versions of other concerts exist: Kuwait 1966, Syria and Egypt 1976, Olympia 1979, Australia 1984, Syria 1985, Bahrain 1987, France 1988, Kuwait1989, Cairo 1989, London 1994, Beirut 1994, and parts of the four Beiteddine concerts (2000–2003), Parts of Dubai concerts (1990–2006), Paris 2002, Amman 2004, Canada 2005, parts of the play Sah Ennawm which was performed in Beirut (2006), Athens 2007 and Bahrain 2008. On June 26, 2011 Fairuz performed in the Royal Carre Theater in Amsterdam, Netherlands. In December 2011, Fairuz performed 5 concerts on Platea Theatre in Sahel Alma in Lebanon, on 9, 10, 16, 17 and 23 December, where the theater accommodates approximately 4,000 persons. Musical plays or operettas were the cornerstone works of the Rahbani Trio, Fairuz, Assi and Mansour. The Rahbani Brothers produced 25 popular musical plays (20 with Fairuz) over a period of more than 30 years. They were possibly the first to produce world-class Arabic musical theatre. The musicals combined storyline, lyrics and dialogue, musical composition varying widely from Lebanese folkloric and rhythmic modes to classical, westernized, and oriental songs, orchestration, and the voice and acting of Fairuz. She played the lead roles alongside singers/actors Nasri Shamseddine, Wadih El Safi, Antoine Kerbaje, Elie Shouayri (Chouayri), Hoda (Fairuz’s younger sister), William Haswani, Raja Badr, Siham Chammas (Shammas), Georgette Sayegh and many others. The Rahbani plays expressed patriotism, unrequited love and nostalgia for village life, comedy, drama, philosophy, and contemporary politics. The songs performed by Fairuz as part of the plays have become immensely popular among the Lebanese and Arabs around the world. Most of the musical plays were recorded and video-taped. Eighteen of them have been officially released on audio CD, two on DVD (Mais el Reem and Loulou). An unauthorized version of Petra and one such live version of Mais el Reem in black and white exist. Ayyam al Hassad (Days of Harvest) was never recorded and Al ‘Urs fi l’Qarya (The Marriage in the Village) has not yet been released (yet an unofficial audio record is available). Other television programmes and appearances have been recorded for Syrian and Lebanese TV alike, though neither these nor the ones mentioned above are available. Fairuz possesses a large repertoire of around 1500 songs out of which only about 800 have been released. She has also been offered prestigious awards and titles over the years (see Fairuz Awards and Recognitions). Around 85 Fairuz CDs, vinyls and cassettes have been officially released so far. Most of the songs that are featured on these albums were composed by the Rahbani brothers. Also featured are songs by Philemon Wehbe, Ziad Rahbani, Zaki Nassif, Mohamed Abd El Wahab, Najib Hankash and Mohamed Mohsen. Many of Fairuz’s numerous unreleased works date back to the 1950s and 1960s and were composed by the Rahbani Brothers (certain unreleased songs, the oldest of all, are by Halim el Roumi). A Fairuz album composed by Egyptian musician Riad Al Sunbati (who has worked with Umm Kulthum) was produced in 1980, but is unlikely to be released. There are also fifteen unreleased songs composed by Philemon Wehbe and 24 unreleased songs composed by Ziad Rahbani in the 1980s. Fairuz has also released an album on Folkways Records, entitled Lebanon: The Baalbek Folk Festival. In her performances, she is hieratic and melancholic, standing motionless in front of the microphone. When questioned by Neil MacFarquhar about her seriousness, she answered that she still feels stage fright. She claims to sing as if she were praying. Fairuz is the Arab world’s most famous and most listened-to singer. For decades, almost all radio stations in the Arab world have been starting their morning broadcast with a Fairuz song. The Guardian stated that “she sang the story of a Lebanon that never really existed” and “essentially helped build the identity of Lebanon, just 14 years after it became an independent country”. In 1997, Billboard stated “even after five decades at the top, (Fairuz) remains the supreme Diva of Lebanon”. In 1999, New York Times described her as “a living icon without equal” and stated that her emergence as a singer paralleled Lebanon’s transformation from a backwater to the vibrant financial and cultural heart of the Arab world. In an article about world music, The Independent stated “All young female singers in this region seem to be clones of her” and that “she’s such an important artist that you have to get to grips with her”. In 1962, Fairuz’s sales surpassed the 10 million mark becoming the first Arab female singer to achieve this number after Umm Kulthum. Fairuz’s total sales pass the 20 million for the decade of the 1970s. On August 1985, Fairuz performed in Bousra Roman Amphitheatre in Syria. About 30,000 people camped outside several days before the event. At her arrival in Damascus, president Hafez al-Assad bowed to her as he greeted her. ‘Bowing to the greatness of the Great One’ was the headlining in the following day’s newspapers. In 1998, she returned to perform at the Baalbeck International Festival after 25 years absence. Tickets sold out within the first day of sale and over 16,000 people filled up the three massive stadiums of Baalbeck pillars.